Announcing the 5 x $100 Apple Gift Card winners! Speaking of contests: I have launched (in ‘stealth mode’) a new site that marries contests and social marketing. I am now looking for a team to help with the build/launch. If you love contests and if you have experience with social/viral marketing or development, then contact me immediately at ajc [at] 7million7years [dot] com. This is your opportunity to hit the big-time with a small salary (full or part-time) + a chunk of equity + your name in lights! 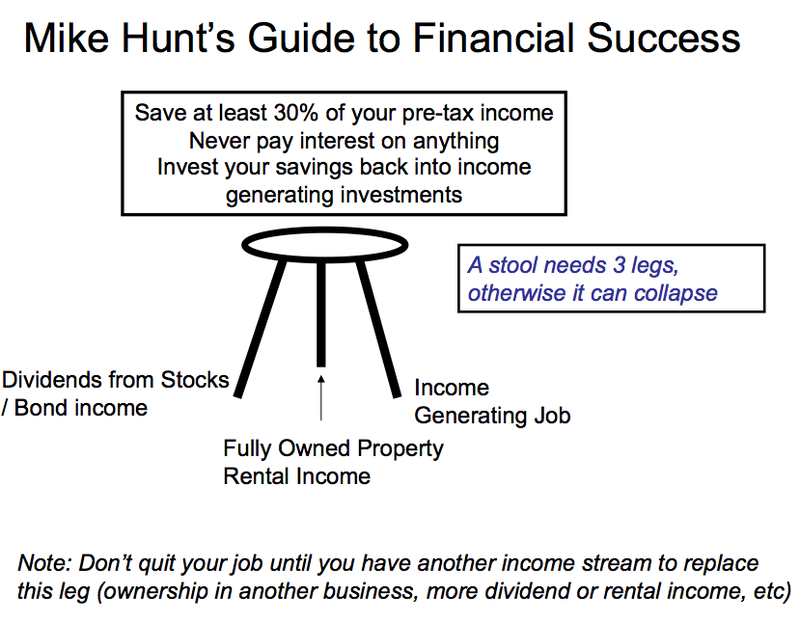 Thanks to everybody who entered the contest inspired by Trent Hamm, from a Simple Dollar, who is giving away a book called Everything You Ever Really Needed to Know About Personal Finance On Just One Page. … and, I’m saving the final prize for a cartoon character. Seriously! Technically, any one of those factors can do it for you. For example, if you have a massive amount of capital, or if you take massive amounts of risk and beat the odds, or if you have a lot of time to build your wealth, then you can still become wealthy at the expense of the other two factors. However, there are downsides to all of these individual factors. The best thing to do is to push on all three of these fronts at the same time, I believe you will then maximize your chances of becoming wealthy. That’s it. As we have all have probably known for quite some time that there is no real secret to being wealthy. It’s just not easy. Bottom line, we need start now, stay fanatically focused, and be mindful of the risks involved. The winners need to contact me via e-mail [ajc AT 7million7years DOT com] for details on how to claim their prizes; if any prize isn’t claimed I’ll donate the $100 to charity and post back here. Thanks to everybody who entered, commented, and/or spread the word! This entry was posted in Rich and tagged 7million7years, Starting Out by Adrian. Bookmark the permalink. Actually I just started a business using extra income from long hours at work(somewhat risky business). But Put in a few nets to help hold down some of that risk. Next year, hope to Start a second business,to help fund the first business. This should help drive income up substantially,allowing for investments in perhaps some Real Estate.If all goes as planned, I feel confident I can hit my number(date 50% chance).A bit late but still,will be happy to reach the number ,thanks to your Help Adrian.Will be looking at other ways to reach that goal by my date. Nice to hear that I managed to win. Yay! @ Roger – well deserved! Same goes for the other four winners!